Most entrepreneurs agree that every business should have a website. It's your online business card. At a minimum, your website is a place where visitors can find your contact information. An About Page is a nice touch and maybe even a few pages about what you do. But seriously your website can do better than that. Your business also NEEDS a blog. In today's business world, a plain old website just isn't enough. If your business does not have a blog, you are doing yourself a big injustice. Congratulations – I guess you have all the business you can handle. But if not – it's about time that you added a blog to your website. Because a blog is an inexpensive vehicle for attracting new customers. If you're not convinced, read on. The first three reasons are pretty obvious. But I think the power is in number 4. A Blog Makes Your Website Look Active. Nothing screams neglect like a dusty old website that hasn't been updated in years. People expect businesses to have an active online presence. And it speaks volumes if you don't. If you ignore your website – then how do you treat your clients? You might think that the two things are not related. But for the small business owner – a website can be seen as being representative of the service that you provide. When you blog about upcoming events, current trends in your industry, or recent happenings you are communicating with your existing customers. You are informing them of things that they might not know. You might think that your current customers are not on your website. But you would be surprised. Current customers will stop in to grab your phone number or find your office hours. And when they get there – you should have great information there to reward them, and to encourage repeat business. Another reason that your business needs a blog is because right now you have customers that you don't know exist. They are looking for you – but they also don't know you exist. When they land on your website – you want to wow them with your knowledge. Consistently blogging is a perfect way to do that – it is a great way to showcase what you know. If a potential customer finds an old rusty website, they might decide to work with a competitor that paints a better picture online. Here is where the power of a blog lies. The more content you create – the more likely it is that someone will share it on social networks or link to it from their own blog. You don't have to leave this step up to chance. Connect with people in your offline networking groups that have a business that is complementary to yours. Talk about your online efforts – share each other's content and broaden your online audience. Your business needs a blog to provide fresh content for the search engines. The search engines really have no idea what your business is all about until you tell them. You do this by writing blog posts. The more you write, the more your site will show up in different search results that are related to your business. For example, if you are a tax accountant in Osh Kosh, and someone searches for “tax accountant in Osh Kosh” maybe you will show up in the search results. But what if they are searching for something like “how to file property taxes in Osh Kosh”. If you just happened to write a blog post about that – then maybe your site will be in the search results for that term too. But if you don't blog – then I guess the business will go to the accountant that does. I hope you are convinced that your business needs a blog. It is not optional. Starting a blog or dusting off an old one can be overwhelming. 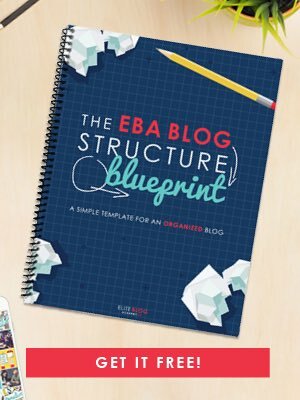 Just like anything else – to be effective, you need to take an organized approach to blogging. Check out these common beginner blogging FAQ's to learn more about how you can jump start your blog. Then take these steps to start a blog for your business. Blogging really isn't as hard as it seems. You can get set up with affordable WordPress hosting for as little as $3.95 per month for your first year with a great web host like Bluehost. If you prefer a more hands off approach, StudioPress Sites is a great option because they take care of a lot of the technical back end for you – and you can focus your efforts on content. This is the host that I currently use. Skip the free WordPress themes (because you need good customer support and peace of mind that your theme will keep up with all the WordPress updates) and go with a premium choice. I like the Genesis Framework for WordPress and one of the StudioPress themes or a theme that runs on Genesis like the beautiful selection from Restored 316 Designs. Great post, Neena! Having started blogging this year, I can agree that forming alliances with other bloggers is priceless. Thanks for sharing! As you realize blogging is really important for business. It is painful because it takes so much time to create the content. But it opens a lot of doors and is not something people should ignore. Good luck with those blogs – and don’t forget to put together an editorial calendar before you start. The effort will be well worth it. I love blogging and you’re right every business can definitely benefit from one. I love how you say to make friends with other bloggers because it can be beneficial for both of you. I have made some great friends online since starting my blog. I always make an effort to share my friends content because I know that they publish great content. In return, I always get shares from people that I have met online. So taking the time to collaborate with other bloggers is so important. After all, it’s easier to grow a blog when you have others sharing your content as well. Thanks for sharing this with us and you can bet that I’ll pass it along.